Repost: Big Blue Bus is Stroller Friendly! 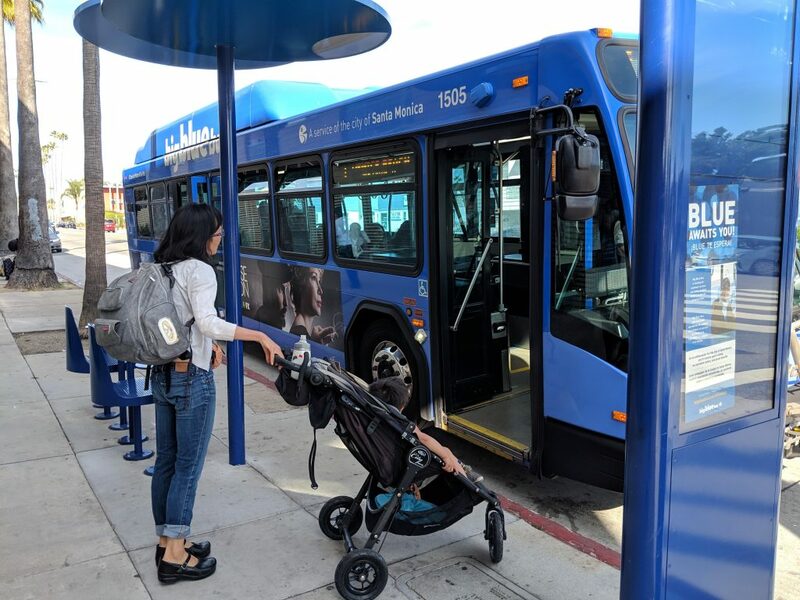 I recently wrote about the Big Blue Bus’s updated stroller policy for the City of Santa Monica’s blog. The policy is actually very progressive. Not only do you not have to fold your child’s stroller once on board, you can ask the operator to deploy the bus’s wheelchair ramp for you. 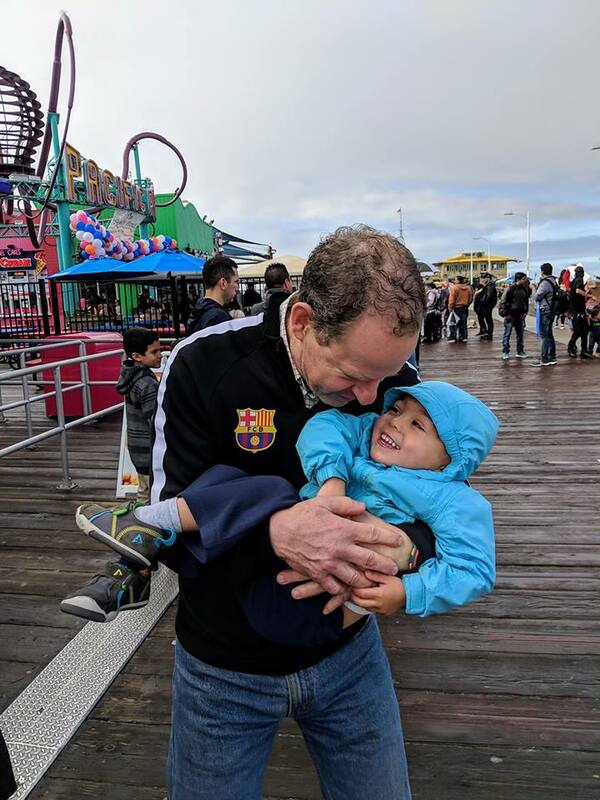 Santa Monica is now only one of three operators in the County of Los Angeles (out of almost two dozen) that do not require you to fold the stroller once on board. The other two are Los Angeles Metro and the Glendale Beeline. By the way, the Glendale Beeline (nine fixed routes) actually has a dedicated page on their website which spells out how to ride transit with a stroller and I had no trouble locating this from navigating their website, which is excellent. We stayed very local during the month of March, as our transit-oriented trips were limited to Downtown Santa Monica. Downtown Santa Monica is a world-renowned destination but there is still plenty of reasons to visit even if you live nearby. Each year, the library partners with our local Kiwanis club to celebrate Read Across America. Read Across America also coincides with Dr. Seuss’s birthday. 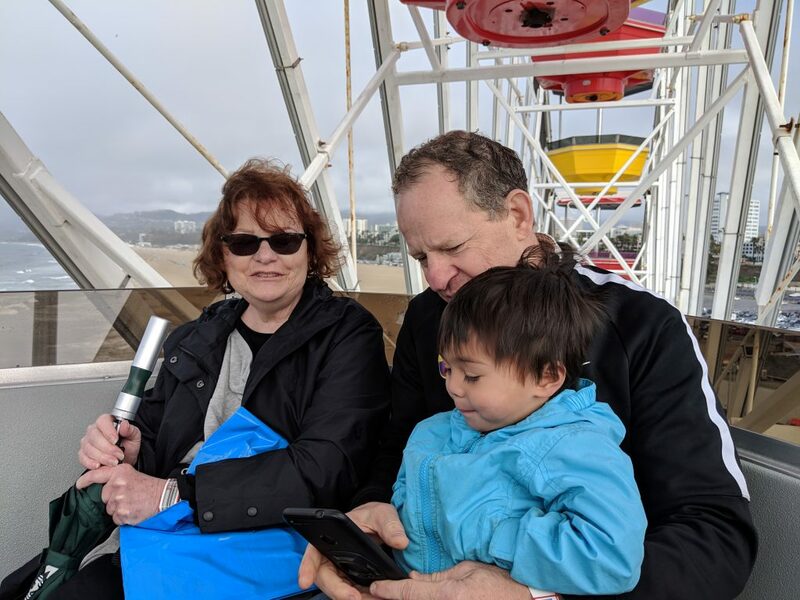 In Santa Monica’s version, we welcomed a kid-friendly comic/magician, a volunteer agreed to dress up as the Cat In the Hat for photos, and Santa Monica Mayor Gleam Davis read her favorite Dr. Seuss book as part of her Let’s Read With Gleam! series. Our family took the Big Blue Bus to the Main Library so that we could enjoy the festivities and I could take some photos to post to social media. Coming back, we rode the bus with my friend from work Robyn and her son. I was reminded once again that one of the benefits of riding transit with children is the opportunity to travel together with other families without the hassles of dealing with cars and car seats. Juan tried to help Wilshire with an arts and crafts project. 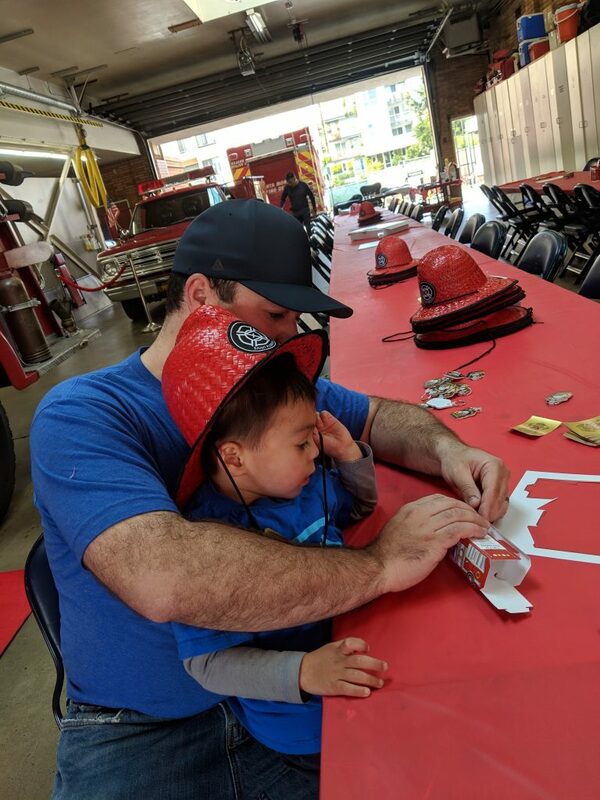 On March 17, the Santa Monica Fire Department threw a big party, complete with an elaborate Santa Maria-style bbq, to celebrate 130 years of service to the community at its fire station in downtown Santa Monica. Juan, Wilshire and I took the Big Blue Bus to check out the festivities. The event was free, so we invited other families from daycare, including Wilshire’s bestie Arabella. SMFD was so gracious in its hospitality. Their staff was super supportive when I gathered them for some group shots (the photos later made it into the City’s Instagram feed and this blog post). Big Blue Bus comes through for the Matutes once again, this time for breakfast at Jinky’s Cafe on 2nd St. and some rides at Pacific Park with family friends! Wilshire loved riding the iconic ferris wheel. He also wanted to be held like a baby.